There are 2 Metastock Versions available: DC for end of day traders and RT for real time traders. Outright Metastock DC purchase with annual data – Traders Kit- Click for more..
Metastock Australia’s customers purchase with peace of mind knowing your best interests are our priority. We understand the challenges you face as a new trader or Investor. We provide you with professional ongoing friendly support so you can achieve trading success using Australia’s most popular and powerful charting and analysis package. You get the best price options plus unlimited local friendly ongoing telephone and email support to ensure you are set up and ready to start trading without delay. Whether you are an experienced trader or just starting out, there is a MetaStock software and market data package for you. Metastock DC is the most popular Metastock version for Australian Traders and Investors. 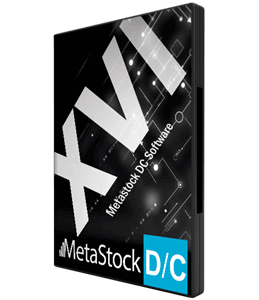 Metastock 15DC may be used with Local data covering ASX and USA Equities/Indices, World Futures and Forex data or Thomson Reuters Datalink data. Thomson Reuters Datalink data covers equities across all data regions around the globe, futures, forex and more. The ASX data package is included with the Asia/Pacific data region and automatically includes delayed intra-day snapshots of ASX equities during the trading day. Metastock RT is suited for traders wanting to transact during the trading day using live market data. Our live streaming data products include global market data for equities across all data regions around the globe, futures, forex and more. Day Traders will appreciate the real-time data and news in MetaStock Real Time powered by MetaStock XENITH.